Please join Chef John Fleer, Rhubarb, and Benne on Eagle in a collaborative celebration of Black History Month through a series of Sunday Suppers hosted at Benne on Eagle. Too often in our turbulent history the African-American experience, incredible contributions to art, music, cuisine, industry, social milieu, and prosperity have been discounted or ignored. This serves as a time to put these achievements in the forefront of our thoughts, and encourages us to pay homage through remembrance. Our gratitude and admiration will be presented on the plate this month, as each week we feature a different chef. EACH SUNDAY SUPPER IN FEBRUARY WILL BE LOCATED AT 35 EAGLE STREET AND DRAWS INSPIRATION FROM THE WORK AND INFLUENCE OF FOUR INCREDIBLE BLACK CHEFS: EDOUARDO JORDAN, MASHAMA BAILEY, NINA COMPTON, AND CARLA HALL. Our sister restaurant, Benne on Eagle, is the newest restaurant on ‘The Block’ and focuses on honoring the legacies of the African-American voice in Appalachian cuisine. One of the tenets of Benne’s mission statement is the Adinkira symbol Sankofa: “go back and get it.” This adage calls us to pay tribute to what came before as we create a legacy for the future and feels very in line with 2019’s theme for Black History Month: Black Migrations. Just as we trace the journey of the benne seed from its roots in West Africa, to its home in Appalachian cuisine (and on Eagle Street), so too do we as a nation look to the journey of Black Americans. Chef John Fleer and the culinary team at Rhubarb, in conjunction with Chef Ashleigh Shanti of Benne on Eagle, cordially invite you to Benne on Eagle for this month’s Sunday Supper series. Be our guest at the community table, and accept the invitation to click each chef’s portrait to see why we’ve chosen to honor these chefs in the month of February. Please call Benne on Eagle at (828)-552-8833 to reserve your seats. Rhubarb is pleased to welcome back Wine Importer Frederick Corriher for this year's wine dinner! A five course dinner, with wine pairings, featuring Chef John Fleer's Appalachian cuisine and Frederick Corriher's Organic and Biodynamic portfolio. Stay tuned for menu and ticket information! Join us for an incredibly special Sunday Supper on July 29th. In addition to a three-course family-style chat and chew with friends both new and treasured, we will have a Blending Seminar hosted by Finca Decero's own badass woman, Stephanie Morton-Small. Learn about the fantastic Argentinian varietals and blends produced by Finca Decero's hand-hewn vineyards, create a custom blend in small groups, and have your creation tasted by a judging panel! After this informative and interactive demonstration, we will commence with an Argentinian-inspired Appalachian feast from Chef John Fleer for Sunday Supper, with pairings from Finca Decero. Blending seminar starts at 5pm, with dinner at 6:30pm. Tickets will be $60 per person (excluding tax and gratuity) and includes the seminar, dinner and pairings. Additional wines will be available for purchase. A credit card will be required to hold the reservation with a $15 per person cancellation fee within 24-hours of the event. To reserve your seats, please call Rhubarb at (828) 785-1503. Join us for another outstanding night with Finca Decero Wines and Chef John Fleer! A 5-course dinner rooted in Appalachian cuisine paired with hand-hewn wines from the foothills of the Andes, this dinner sells out every year! Tickets are $65 per person and available for purchase here. We look forward to tasting with you soon! Join celebrated, local cookbook author Ashley English for a discussion on how people are using food to create long-lasting bonds, cherished friendships, strong social networks, and engaged communities. For centuries, people bonded over food—building long-term relationships based on their need to collaborate to grow, harvest, and preserve food. Today, the easy access to food has eliminated the need for those relationships, leaving us with one less reason to interact. Tracing the historical importance of food in Southern Appalachia, Ashley will present new ways for 21st Century Americans to create bonds over food, from supper clubs and cookie exchanges to foraging hikes and canning hikes. Enjoy a selection of small bites from Rhubarb’s talented chefs. Beer and wine available for purchase. Join us for a tour of Burgundy in our own backyard! Fleer's farm-to-table Appalachian cuisine and Pignatiello Wines' immaculately curated wines will be perfectly paired on Thursday, June 21st at 6:30pm. Guests will enjoy this menu multiple courses, each with its own wine accompaniment, tales from the importer, and great company. Tickets are $90 per person, excluding tax and gratuity. Then take home the best of France: all wines will be available for purchase following the event. Space is limited for this multi-course event, so call Rhubarb at 828-785-1503 to reserve your space today! A credit card on file will be required for all reservations, with a 24-hour cancellation policy. Come by The Waterbird Asheville EVERY SUNDAY between 9am - 2pm for our farmers market! Vendors will include The Rhu, Roots and Fruits Market & Cafe, and House Soda Co! Grab a toasty coffee or a refreshing cocktail from The Waterbird Asheville and enjoy an afternoon with local products and community fun! Join Catawba Brewing, Chef John Fleer of Rhubarb restaurant, and Chef Gene Ettison of the Green Opportunities (GO) Kitchen Ready program for a freshly harvested farm dinner on Wednesday, May 30 at Yesterday Spaces in Leicester. This five-course beer and food pairing will be held from 6:00-9:30 in the beautiful Appalachian mountains and features farm-fresh food, including appetizers and dessert. Early-bird tickets are $69 each and will be available until May 23. Five courses of farm-fresh food, including appetizers and dessert, will be paired with five courses of Catawba’s craft brews and craft beer cocktails. Guests are invited to tour the grounds of Gaining Ground Farm, which has been providing organic vegetables to Asheville citizens for twenty years. Check back in May for a full menu listing of delicious local meats and organic vegetables. If you have a dietary restriction, please indicate so at the time you purchase your tickets by emailing Gwen@greenopportunities.org. Proceeds from this event benefit Green Opportunities, a nonprofit organization whose mission is to train, support, and connect people from marginalized communities to sustainable employment pathways. Green Opportunities’ tuition-free Kitchen Ready culinary training program prepares Buncombe County residents for careers in the food service industry by pairing technical and life skills training with wrap-around support services. At this dinner, Green Opportunities will officially kick-off a year-long celebration of their 10 year anniversary. Founded in May 2008, GO is celebrating 10 years of creating sustainable employment pathways for youth and adults with low-incomes and promoting economic justice in Asheville. Meet Asheville's top fermenters and learn this ancient food preservation practice. Fermented food tasting and demo led by Meg Chamberlain from Fermenti Foods and Sarah Archer from Serotonin Ferments. A weekend full of events glorifying gluten! This year's Bread Festival will span the city of Asheville, and include workshops and master classes. 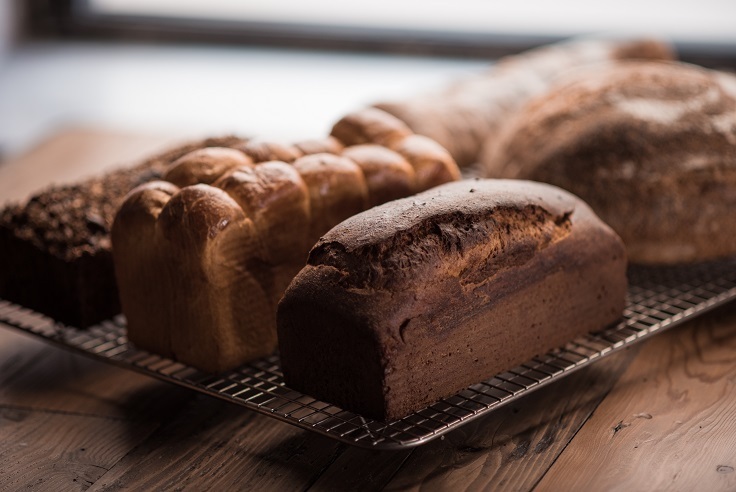 Our very own Chef Kaley Laird was a Featured Baker in 2017 and will have some of our fabulous baked goods at the Bread Fair on Saturday, May 5th at New Belgium Brewery from 10am - 2pm. You don't want to miss it! Tickets available through the Asheville Bread Festival Website, found by clicking below. Join us for a special edition Sunday Supper to celebrate the release of Ashley English's new cookbook: Southern from Scratch. This book celebrates the Appalachian ingredients, with recipes to help you create a larder and utilize its bounty. 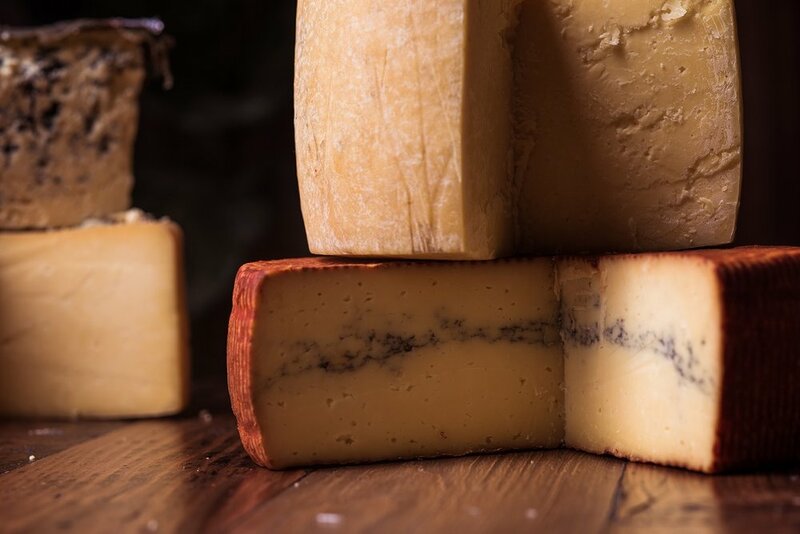 We are thrilled to participate once again in the Carolina Mountain Cheese Fest! Head to Highland Brewing to see cheese from creameries around the Carolina Mountains and meet other Curd Nerds. Head over to their website to purchase tickets! The 'Ville Meets the Bayou in this One-Night-Only Event! Limited seats available, so be sure to grab your tickets while you can! Join us at Rhubarb for a special first-time collaboration between acclaimed chefs John Fleer and Tandy Wilson. We are so excited for another opportunity to show Asheville the incredible hand-hewn wines of Finca Decero. Nestled in the foothills of Argentina's Andes Mountains, the Decero vineyards are sustainably managed, by hand, and Chef John Fleer believes their wines are among the best he's ever tasted from Argentina. Hear from a few of the Asheville artisans churning out locally sourced flavors and keeping the city cool and sweet in our next FED Talk. Ice cream makers from the Hop, Ultimate, and French Broad Chocolates join us to tell us all about ICE CREAM!